This tape from the Republik gives us extra angst, because we can't even be sure of the band's name. 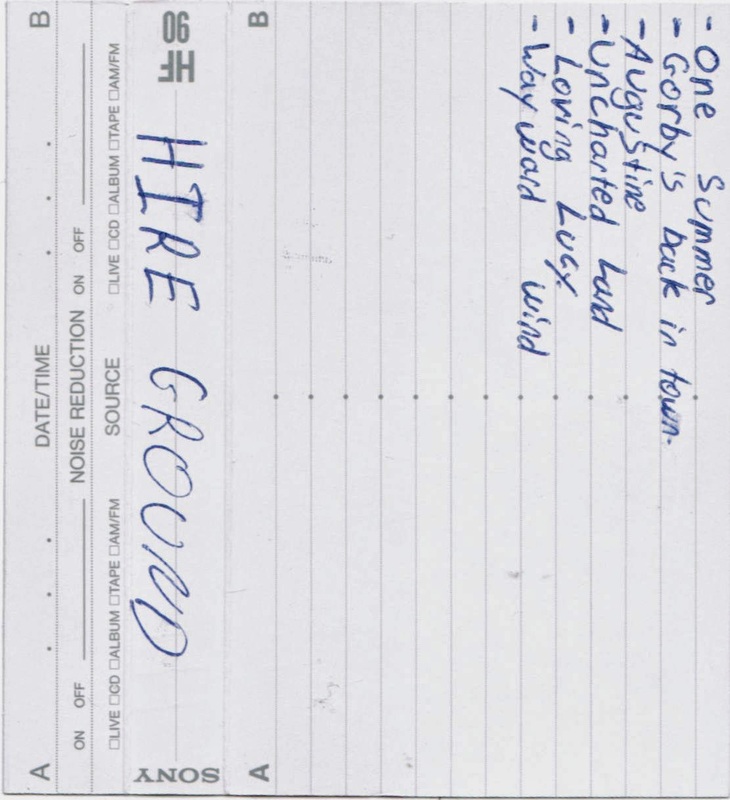 The j-card says Hire Ground, but the sticker on the tape itself says Higher Ground. This isn't your typical 90's alt.rock (or your typical 90s alt.rock, depending on which style guide you happen to be using). There's something more musical in this - a British influence that's not the usual Britpop. Still, we can't get past the mystery of their name.